Are you looking for a company that does Mezzanine floors in Oxfordshire? SAS Projects is the ideal company for your Mezzanine floors project in Oxfordshire. We have many years experience in Mezzanine floors and other services in Oxfordshire. Our highly skilled team can provide a trusted services including project management and delivery. We have been serving companies and delivering projects in and around Oxfordshire for over 10 years and have becuase a trusted and respected partner on many projects. Our Mezzanine floors team have the experience, knowledge and skill to deliver your project on time and on budget. Maximise your storage and warehouse space with a mezzanine floor in your commercial premises. Two story storage facilities offer additional space and extra potential for profit making services and add-ons. As a second story, you can design your self storage applications to ensure that it achieves the most cost-effective design and maximum storage capacity possible. Designed as freestanding structures, they consist of secondary flooring beams that are cold rolled galvanised so they can be easily inserted into the main universal beam. The universal beam is typically supported by rolled hollow sections of steel columns. A free-standing mezzanine floor is not attached to the building structure, meaning it is not normally subject to any additional rent or rates. It will, however, be subject to additional Building and Fire Safety Regulations. Our experienced construction team will undertake a site survey to discuss in more detail requirements such as staircases, walkways, protected escape routes, loading requirements, and how to reduce the number of columns under your new mezzanine floors. We can they produce a comprehensive design and build plan for you. Our construction team is fully experienced in the erection of mezzanine floors within a wide variety of self-storage premises, and can advise you on every aspect of the build. During construction, we will cordon off the area for health and safety reasons. We will need unrestricted access to the area with utilities and services available (electricity and lighting), so that your mezzanine floor can be installed safely. We will create a new business environment with a minimum of fuss and disruption and without interrupting your existing workflow. We will use the highest quality materials for your mezzanine floor, meaning you can safely add numerous additional storage units to service your customers needs completely. 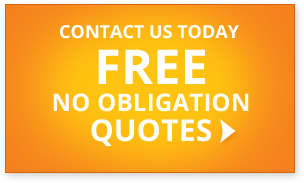 for a fast, free, no-obligation quote or to discuss your mezzanine floors project.